The new PNG transparency works! Even >> I << can do it! What you see below is a yellow wall. In front of the wall is an invisible (!) box covered with a texture/picture. The picture is mainly black, but the white parts in the picture have been made transparent. So, the yellow parts in the black are parts of the wall that are visible when looking through the box. All six sides being covered with the same texture, this isn't very useful. 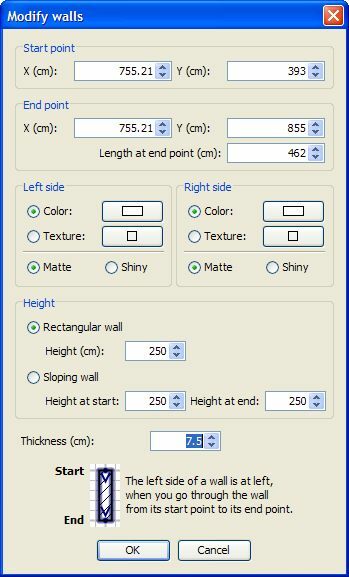 But this could be very useful when you want to make custom parts with custom textures. Example: an invisible box that has a partially transparent texture applied to one of its (vertical) sides. I may have to play a bit more with this. I see you've been busy! As a note, I have added the comments in (brackets) to help other users know what we are talking about. Good to see you found a way to allow compass rotations negatively from 0 (zero) and positively past 359 back to 0. Also that you fixed this bug, did you recompile SunFlow to allow for a full Sunsky (the way the sky is produced when no texture is used) sphere, instead of the default 180 degree arc? I had thought of a different way to fix it for AdvancedRendering-1.6.2. I do find the bucket spiral (render method) makes me feel a bit dizzy! What are other users views? I also looked at the different bucket order methods but there's no real speed advantage between them. One feature I asked about before. Please can you lock, the currently selected furniture item in the center of the plan view while zooming? The way the Plan focuses on the center of the scene while zooming, instead of the selected item, makes it difficult to find the furniture item again, without re-selecting it from the furniture list. 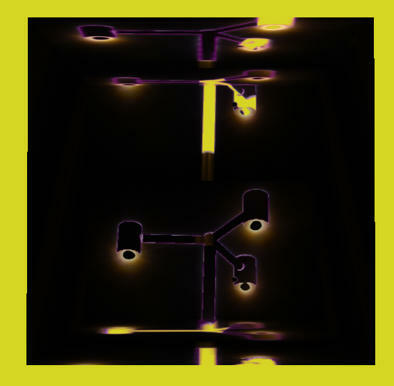 I now notice the light bulbs maximum brightness is much lower, are you still using the same formula you used before? If so please can you increase the power factor to compensate for the maximum returned figure of 100 compared to the previous value of 359, and bring the default bulb brightness down to say 30%? Interesting to see you implemented the idea you mentioned before, about the cross-hairs only showing while selecting/edting a bulb. It would be helpful to have a preference option, to not hide the cross-hairs too! I find it helpful to be able to see other lights cross-hairs in the 3D preview while positioning new lights, so I can gauge how large and small lights will work and fit together. At the moment, if I select more than 1 light to show both or all cross-hairs then all items will also be edited. Do you think it's time to retire the sky colour option since it only affects an OpenGL 3D preview and original OpenGL 3D render? Then when a user selects a colour, internally SH3D will generate a graduated sky colour texture, with the users colour at the apex, or just below, of the sky dome. On a slightly different topic. Now I've seen it in action, I'm not sure having the the Sun constantly enabled is a good idea? Are you using a modified Janino shader to provide texture transparency and fake caustics? After doing some render compares, apart from the stronger glass colour, maybe a bit too strong? I notice there isn't much light fall off and overlapping shadows appear black, plus there's no shadow colour blending, which is why I thought you may be now using fake caustics. Caustics version compare: Notice the overlapping shadow problem. Lastly don't forget about me! Right, I think that will do for this little post! Looking forward to seeing the source code. The newest doors and window you submitted use some transparency with a very dark color, which make them finally look almost dark in SunFlow. First the source code of the Beta version is generally available in CVS, and for example you can read the current version of the PhotoRenderer class here. For the blue sky that appeared during the night, I simply turned off Sun light when the sun is bellow the horizon. I forgot to announce that change. I chose that order because I felt it's nicer to use a predictable rendering method that first shows the middle of the picture. can you lock, the currently selected furniture item in the center of the plan view while zooming? As the selection may contain items that are eventually out of sight, I'm not sure it's a good idea. What I want to try first is to zoom on mouse pointer location, when the user zooms with the mouse wheel + Ctrl/cmd key. No, many users limit their use of Sweet Home 3D to its default values. I'll explain in the help that the chosen color is always replaced by a sunsky in the two highest quality level for photo realism sake. After doing some render compares, apart from the stronger glass colour, maybe a bit too strong? Caustics and current transparency management works a different way. Caustics might look more realistic but are much heavier to compute and didn't work with faraway lights. 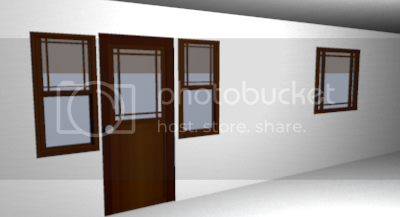 Your 2 examples are nice, but remind Sweet home 3D is for interior design purpose first. Therefore I prefer that users can see a light reflect in windows with the new transparency algorithm than they can generate the nice glass images you show. Thank you for reminding me. It will be available from next beta version. - Insertion of models, insofar done automatically, is at 0.0. I think this is the easiest way to make sure the compass pops up in a location that is almost always visible, and you don't have to program much. I just updated the Beta version 3.0. Caution! It introduces a change in preferences management: preferences, as well as furniture and textures individually imported in Sweet Home 3D catalogs (I don't speak about SH3F or SH3T files here) are not saved the same way from this version 3.0 Beta 5. All the existing preferences and previously imported files won't be forgotten, but all the ones you'll import from now won't appear in previous versions of Sweet Home 3D. Why this change? For portability sake. - under Linux, it's the subfolder .eteks/sweethome3d of your user folder. You'll see that as soon as you updated preferences, these directories contain now a new file named preferences.xml that will replace system preferences from now. But there's more: It's possible now to change the "preferences" folder where are stored preferences.xml and imported files, and the "application" folders where are stored SH3F, SH3T, SH3L, SH3P and recovered SH3D files. 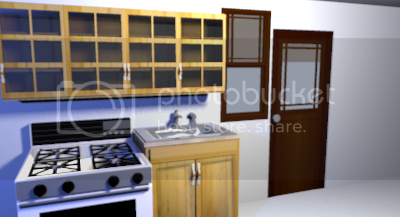 These folders are specified with the com.eteks.sweethome3d.preferencesFolder and com.eteks.sweethome3d.applicationFolders System properties. Miserably it's not really possible to test these new options with Java Web Start, but I'll be pleased to read your opinion about the new options described in the javadoc comment of the com.eteks.sweethome3d.SweetHome3D class. I hope these new options will satisfy most needs bound to portability and installations on local networks. - a Jar executable file like the existing one that requires an installed JRE too (15 MB compressed / don't need to be uncompressed but people are not used to double click on a Jar file). Of course, all these portable versions will store their preferences and other application data in a subfolder of the folder from which the portable program will be launch. Finally, I also added the background image in the printed plan, if it's visible. If you don't want it at print time, hide it! [Edit]I released version 3.0 Beta 6 one hour later this message to fix an annoying bug that deleted some of the imported files when preferences were modified in version 3.0 Beta then modified again in version 2.6. 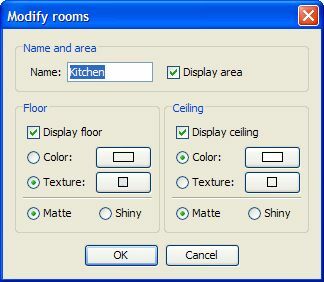 It ended up by new prefixes for furniture and texture imported files in preferences folder. I updated again how transparent window panes are computed in version 3.0 Beta 7, to ensure pencilart's models are rendered correctly with SunFlow. This should also make the color of transparent items less strong. I hope this time it will satisfy everybody.